The Pina Zangaro Olema 11"x17"x1" Archival Black Aluminum Presentation Box can be customized with Color Imprinting or Laser Engraving. The Olema 5"x7"x1" Archival Black Aluminum Presentation Box can be customized with Color Imprinting or Laser Engraving. The Pina Zangaro Olema 8.5"x11"x1" Archival Black Aluminum Presentation Box can be customized with Color Imprinting or Laser Engraving. The Olema 11"x14"x1" Archival Black Aluminum Presentation Box can be customized with Color Imprinting or Laser Engraving. Fully archival, scratch resistant and easy to keep clean, these boxes are a distinctive and safe way to store or present artwork. 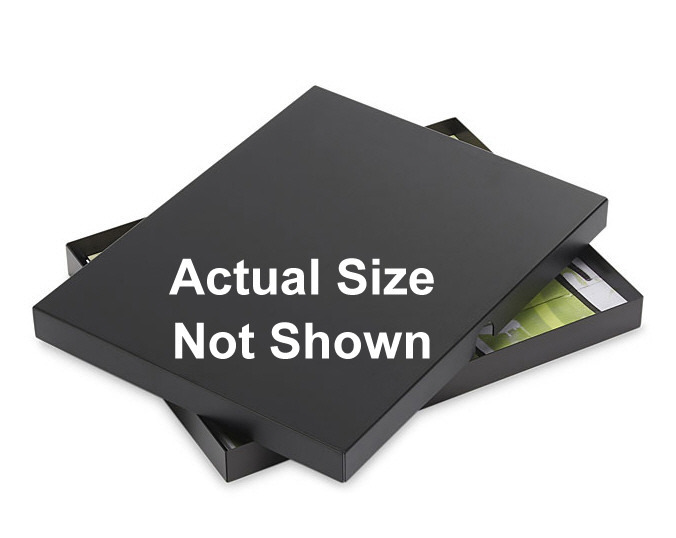 These black anodized aluminum lift-off lid boxes are fully archival and feature finger notches on the sides to facilitate removal of the lids.